Turriff & District Community Council is running a Scotish Government funded Place Standard Conversation with the support of Aberdeenshire Council. 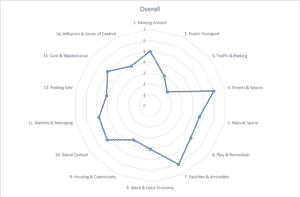 The ‘conversations’ are based around the Place Standard tool which is designed to allow you to think about the physical elements of a place (for example its buildings, spaces, and transport links) as well as the social aspects (for example whether people feel they have a say in decision making). You are asked to provide a score between 1 & 7 for each question and then add some reasoning as to why you gave a particular score. 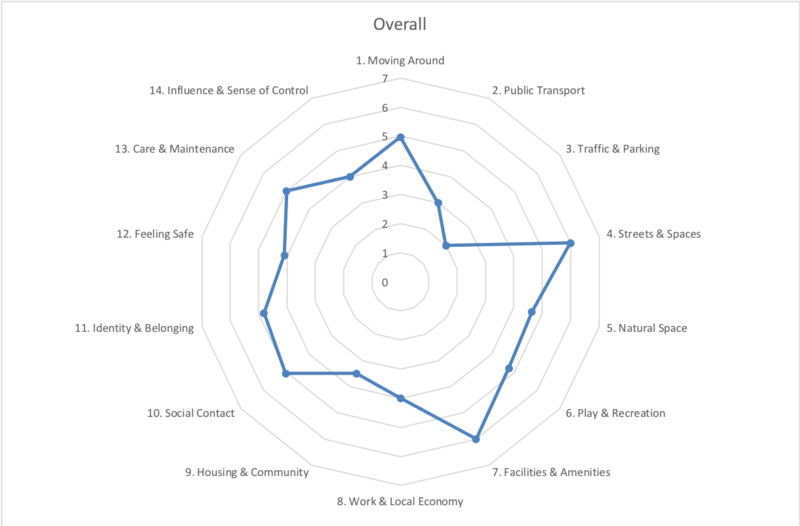 The scores will be used to create a graph which shows how the community feel about the different aspects in the survey in relation to Turriff and the narrative responses will be used to help expand on the scores and to create an Action Plan. The Community Council is eager to hear the views of the people who live and work in Turriff. The information you provide is anonymous and will be used to create an Action Plan for Turriff. The Action Plan which will include a list of priorities will be presented to the public at an event in late spring where it can be discussed and fine-tuned to what people in Turriff think about the area they live in. The Community Council will use the Action Plan and the list of priorities to try to influence positive changes in Turriff. These changes may be simple things that the Community Council and the wider community can implement directly or they may be things where the Community Council needs to work with Aberdeenshire Council and partners to make the changes. So far there have been a small number of information gathering events carried out. These have been with groups such as the local primary schools, Turriff Academy, 1st Turriff Girls & 2nd Turriff Boys Brigades, residents and visitors to Sim Gardens at their Conversation Cafe and the Youth Forum. A number of evening drop-in events are being planned for the next few weeks at Traffords Coffee House on High Street and there will be a Saturday drop-in event on 13 April at Stewart & Watson property Shop. The Action Plan and list of priorities can only be created with your input and all members of the community are urged to take part and make their views known. While the survey is primarily for people who live in Turriff, if you live outside of Turriff but use the town for work, shopping or leisure then your views are also welcomed. The survey is available in English and Polish. If you could take a few minutes to complete the survey that so the views of as many members of the community as possible are heard the Community Council would be most grateful.